The M30 is a complete Quad-band GSM/GPRS solution in a B2B connector type which can be embedded in customer application, offering the highest reliability and robustness. Featuring an industry-standard interface, the M30 delivers GSM/GPRS 850/900/1800/1900MHz performance for voice, SMS, data, and fax with extremely low power consumption. With a size configuration of 40mm x 32.2mm x 4mm (excluding shielding pins), M30 can fit into almost all the M2M applications including VTS, Smart Metering, Wireless POS, Security, etc. 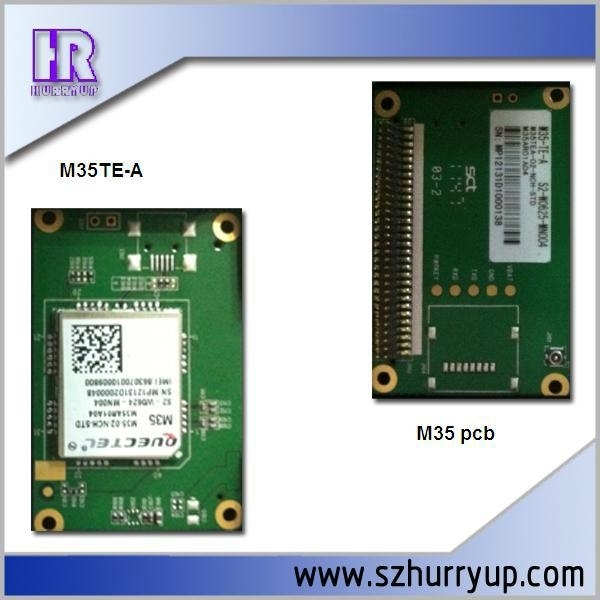 M35 is the world's smallest quad-band GSM / GPRS module, measuring only 19.9 × 23.6 × 2.65 mm. , To provide a complete GSM / GPRS, SMS, data transfer and voice services.